In November 2018, Sri Lanka saw an increase in tourist arrivals with the members of the Barmy Army, and adding to the existing flow of tourists was the arrival of three super luxury passenger vessels with a combined passenger occupancy of nearly 7000. Throughout 2018, Sri Lanka saw the arrival of 53 cruise liners, which in addition, helped to increase the number of tourist arrivals. 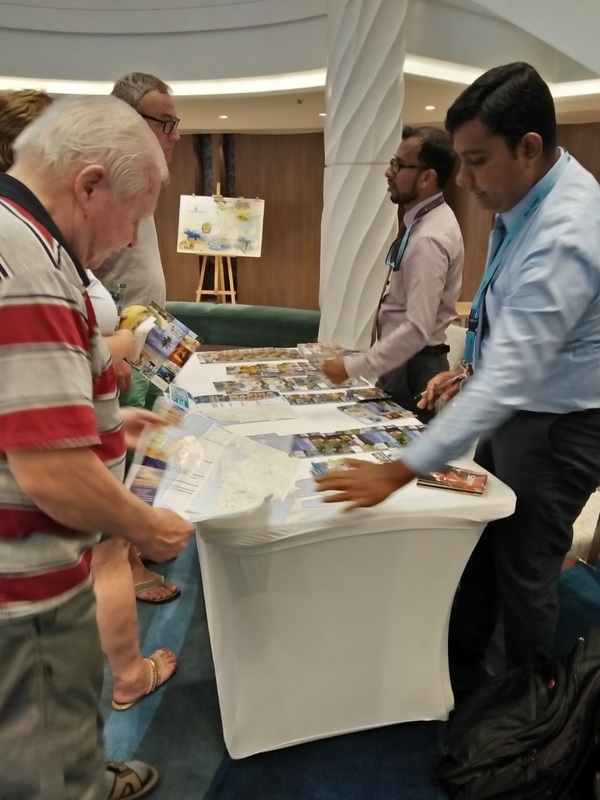 Sri Lanka Tourism Promotion Bureau, ensured that a Tourism Information counter in each vessel, to create awareness among tourists on Sri Lanka as a leading travel destination. Around 72500 onboard passengers were reported throughout the year. The super luxury passenger vessel MV Mein Schiff 3 of TUI Cruises with 2,430 passengers and 995 crew made her maiden call at the Port of Colombo on November 26. The vessel was welcomed at the East Container Terminal of Sri Lanka Ports Authority. On her maiden call at the Port of Colombo, plaque exchanges were held between the Master of the vessel, Sri Lanka Ports Authority and the local agents of the vessel, Shipping Agency Services. The Chairman of SLPA Dr. Dissanayake said that the Port of Colombo had become an extremely busy port and that there were plans to construct a state of the art passenger terminal at the Port of Colombo. He further said that the process has already started and has got the approval from the board of Directors, and will be going through procurement process soon. 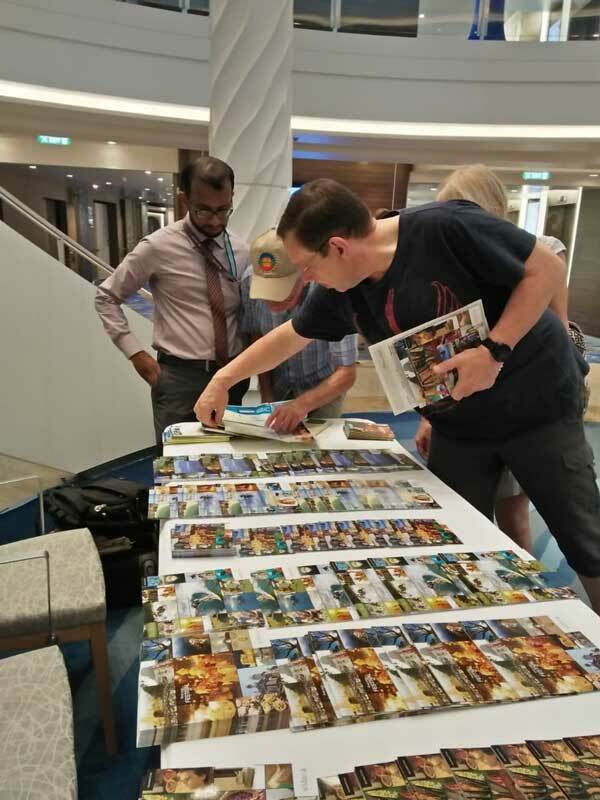 Harindra Dissanayake, Assistant Director, Sri Lanka Tourism Promotion Bureau said, "we're delighted to add our contribution in promoting Sri Lanka as a leading travel destination, by establishing Tourist Information Counters in each passenger vessel. 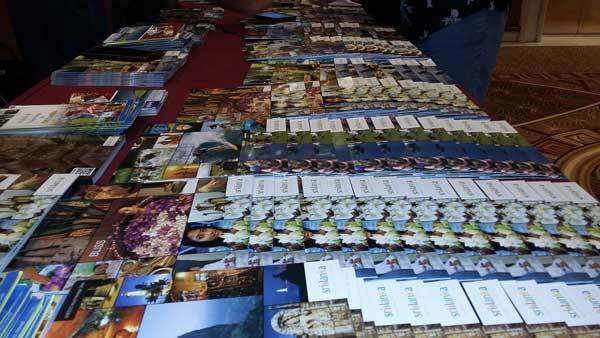 This is done with the purpose of encouraging more tourists to visit Sri Lanka. we would like to thank the shipping agents, the crew of the respective vessels, and all those who helped us to be involved in promotional activities on board and look forward to their cooperative support in future". The ship which started her journey from Europe in May arrived in the UAE passing the Suez Canal after visiting several European ports. She arrived at Colombo from Mumbai and will proceed to Phuket, Thailand. TUI Cruises is a German based joint venture cruise line. The concept is for German- travellers to have a premium cruise experience with products and services custom made for German travelers. 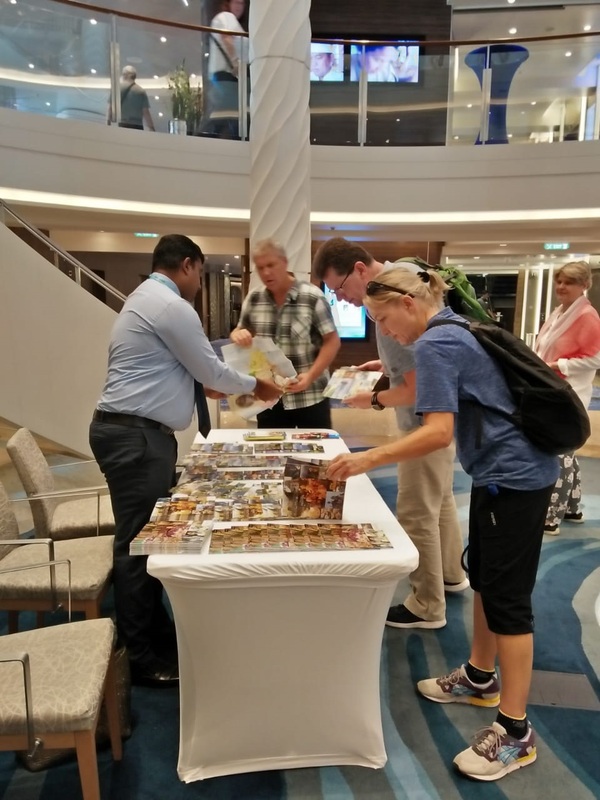 On its arrival, the ground handling was done by Aitken Spence Travels (Pvt ) Ltd.
AIDAbella a cruise ship operated by AIDA Cruises ferried nearly 2200 passengers when the vessel made her port of call at Colombo. 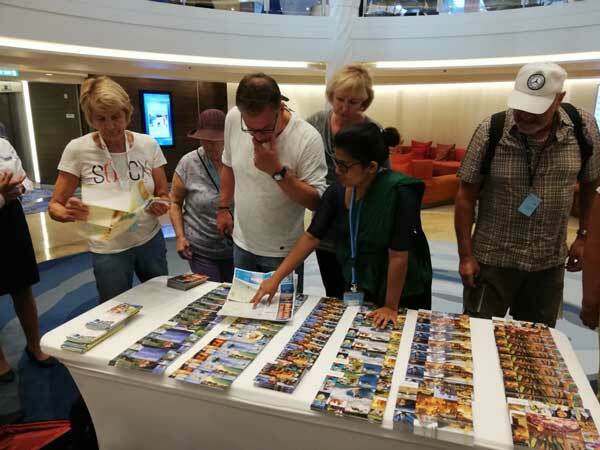 The local travel agent Winx Travels hosted several excursions for both the passengers and 646 crew who were on board. 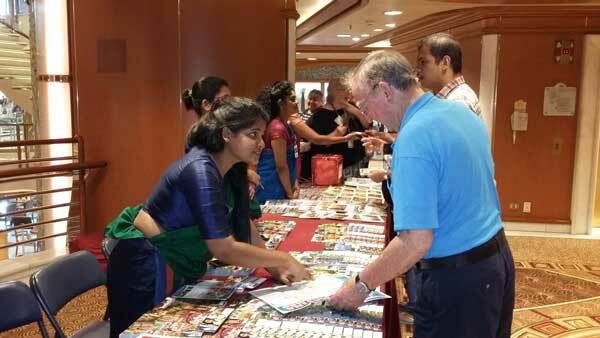 68 tourists took the Kandy city tour, nearly 559 joined the Colombo city tour. There were many tourists who were keen on experiencing water sports and so 112 of them took part in Bentota water sport excursion, while 95 stayed at Beruwala and 45 opted for the Negombo beach excursion. A unique offering for the tourists was a Tuk tuk excursion. Nearly 26 tuks were hired for this purpose. 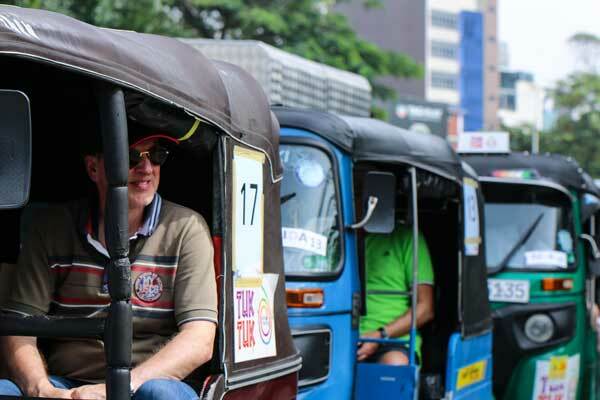 48 tourists travelled in them and were given a glimpse of Colombo life as they toured the Pettah area, St. Lucia Cathedral, Red mosque, parliament, independence square, national museum, Laksala and Seemamalakaya. 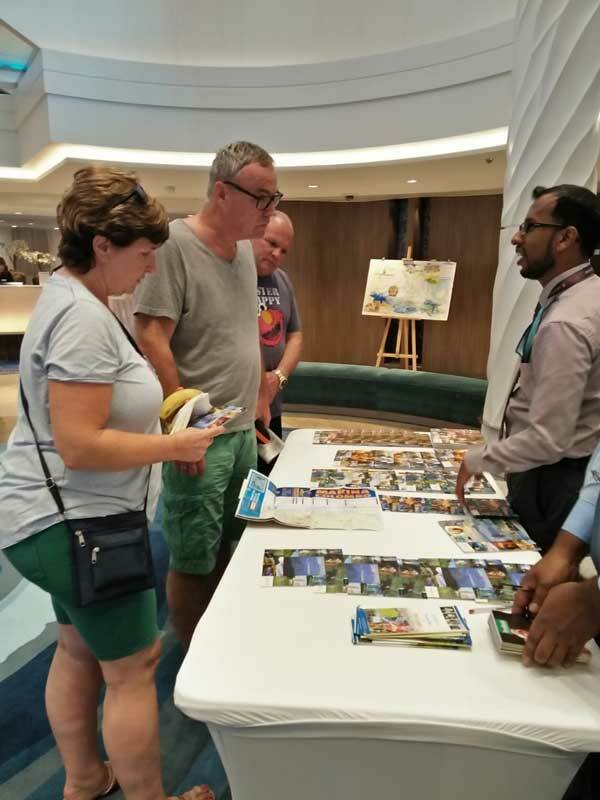 The staff at the Sri Lanka Tourism Promotion Bureau also accompanied the guests to ensure that this new innovative excursion was rendered the support it needed. 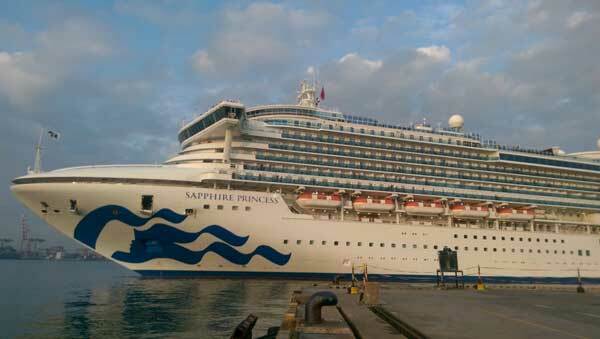 Another Princess Cruise Line, the Sapphire Princess also made a visit at the Colombo Port. She started her journey from Ceuta in Spanish Morocco on October 2nd and ended her journey on the 18thof November. She arrived to Colombo from Cochin India and traveled to Kuala Lumpur in Malaysia. 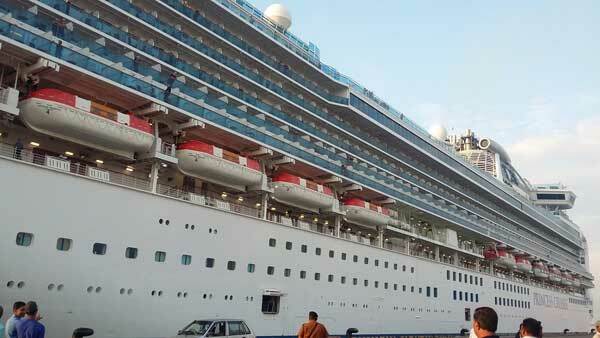 Malship Ceylon which handled the shipping line said that there were nearly 3000 tourists on board the vessel. The ground handling was facilitated by Winx Travels who hosted many excursions and visits for the touring passengers. Some of the most requested excursions by the passengers included visits to the Pinnawala Elephant Orphanage, Bentota beach, Tea plantations, the Dalada Maligawa in Kandy and Colombo city tours. There were also 1100 crew members on board who joined the passengers on these trips.